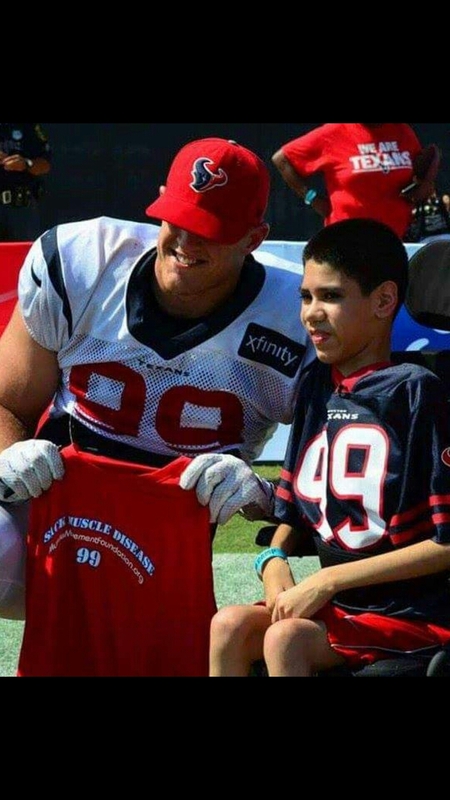 J.J. Watt Invites Marc to Texans Training Camp! HOUSTON, TX - Marc is a DMD Muscle Champion (Duchenne Muscular Dystrophy Survivor) who continues to live life to his fullest ability. 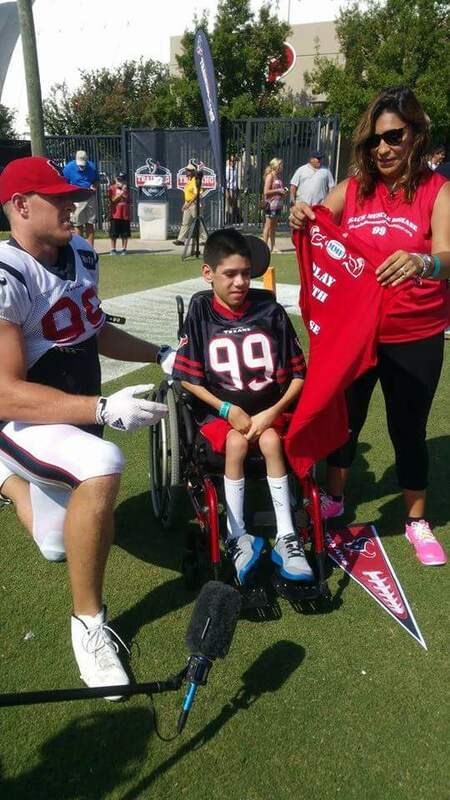 Looking up to his favorite icon and NFL superstar, J.J.Watt, he is inspired to live each day with the courage and strength that J.J. portrays! Although Marc has great trouble using his muscles, he relentlessly worked on a masterpiece creating an outstanding drawing of J.J.
After months of working on his sketch, Marc completed his masterpiece. We immediately networked to display Marc's work of art in efforts to have J.J. view the drawing, and grant Marc his wish of having the art autographed. With the help of KHOU 11 News Houston, whom reported an amazing story on Marc, Marc's wish was granted! 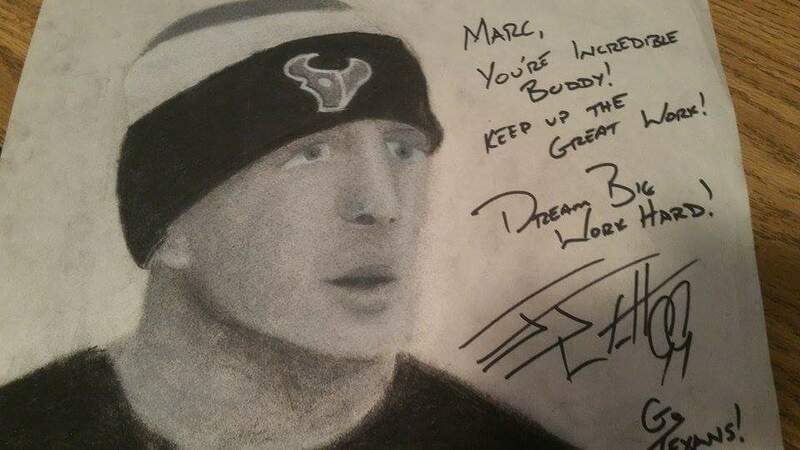 J.J. Watt signed Marc's masterpiece and invited Marc to the Houston Texans Training Camp on August 11, 2015 to personally meet him! 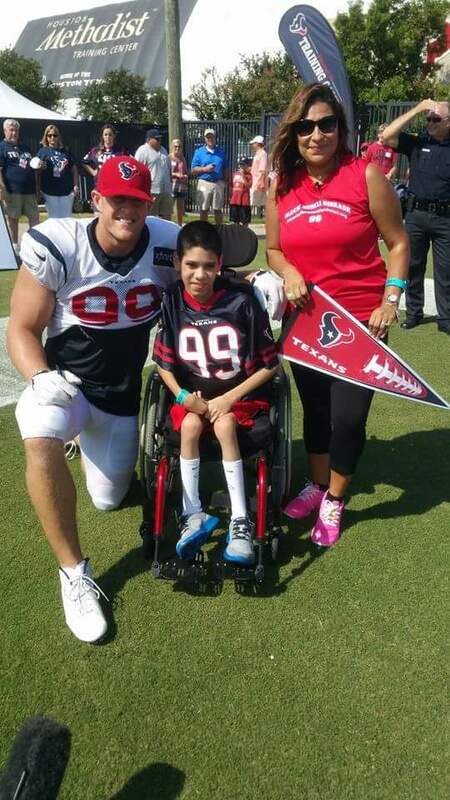 Special thanks to J.J. Watt for supporting Marc's relentless fight against Duchenne Muscular Dystrophy, and Playing with a Purpose to Sack Muscle Disease!